Basingstoke training day and thank yous! I have been sent the program for the Basingstoke training day which looks like it should be excellent. It is on Wednesday the 16th of May. Click here to see the program. Please email me to sign up - jwh20485@gmail.com. Also following Ben's message I just wanted to say a big thank you to both Ben and Tony. Their hard work has been invaluable and they will be missed as they move onto new pastures! I would of course also be happy to discuss the role with anyone who is interested and I can strongly recommend it! Local Representation - We attend all the Specialty Training Committee (STC) meetings, (including the Autumn meeting where we present the results of the annual trainee survey). At the STC we are able to represent your views to the Training Programme Director, the deanery staff and the deanery wide consultant body. The STC are responsible for everything to do with your training. We are therefore able to provide a trainee voice on wide ranging issues such as interviews, job allocations, ARCPs, study leave, moving expenses and out of programme experiences. 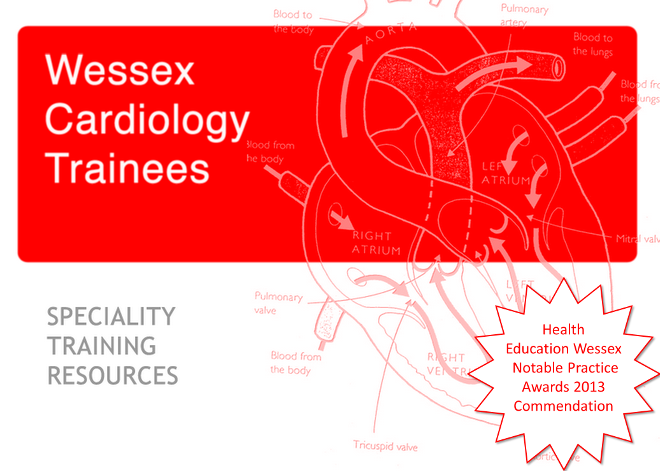 Improve Local Training - We continuously endeavour to improve all aspects of cardiology training in Wessex. Over the last twelve months we have made significant efforts to improve the regional training days and to provide entertaining evening meetings. We have been extremely fortunate to have been fantastically supported throughout our tenure by Dr Tony Dimarco, who has taken responsibility as a training days coordinator, and excelled in this position. Tony, who is in his final year, will shortly be unable to continue in this role and we thank him tremendously for his help. National Body Representation - The BJCA provide two Council positions for each region's training representatives. We therefore sit on the BJCA Council, attend the BJCA Annual General Meeting on your behalf and throughout the year provide communication to you all from the BJCA. So why am I sharing this information with you? Because I have decided to step down from my position, which means it is time to elect my replacement. Although I have very much enjoyed being a local trainee rep, I have recently taken on positions of responsibility with both the British Heart Rhythm Society and the British Cardiovascular Society, demanding roles which I will have to juggle with writing up my PhD and returning to clinical work. This is also an excellent time to elect a new trainee representative as it will give the new incumbent a couple of years working together with Jonathan, benefitting from his experience. This is definitely preferable to electing two representatives down the line (when Jonathan and I finish our training together) a point which was recently highlighted to us by the STC. Finally, as Tony is stepping down, we would like to try and incorporate his role with that of the two training representatives, so it makes even more sense to hold an election now. This will ensure that the person who takes on training day organisation benefits from one of the BJCA positions which we are allowed to have, removing this disparity from the current set up. Tony and I will also be available to help the new representative. Tony has offered his support up until his CCT whilst I intend to continue to help in several aspects with training in Wessex, including organisation of the subspeciality EP training days. If we have more than one applicant we will hold an election and your statement will be sent out to all NTN holders by e-mail and everyone will have 14 days to cast their vote. The winner will then be announced prior to BCS, with the winner able to attend the BCS Council meeting at the 2018 conference; their first job in the new role! 1. You currently have a Cardiology NTN in Wessex. 2. You intend to continue as a Wessex cardiology trainee throughout the three year period from June 2018 to June 2021. During this period you can of course be out of programme for any reason at all (including maternity leave or career break). You can also be a less than full time trainee. However, trainees who intend to relocate during this three year period (i.e. undertake research in another deanery) should recognise that this position involves significant time spent in the geographical area of Wessex (attending meetings, training days and evening events) and should consider this prior to application. 3. Permission of the Training Programme Director (Dr John Paisey) - this is to prevent trainees who may currently be struggling to meet their training requirements from over burdening themselves with an extra curricular role. You do not however need to seek this permission yourself. Just be aware that Dr Paisey will review the submitted personal statements prior to an election taking place. Good luck everyone! I hope you will all give strong consideration to taking this opportunity. Please do not hesitate to get in touch with Jonathan or I if you have any questions at all. Ben has highlighted that I put the incorrect dates in my last post for the BCS conference. The dates are 4th-6th June. It would be great to see lots of you there. We will plan a Wessex SPR dinner on the Monday evening (no reps! ), so if you would like to be included - send me your number (jwh20485@gmail.com) and I will add you to a BCS watts app group. Just a reminder to sign up for the upcoming AHCD training day. It is on April the 19th at Southampton on abnormalities of left heart inflow. There is a £20 charge for catering and if you would like to come you need to register with Sharon. There is also the South Coast Heart Failure meeting on the 24th of April - sign up required and the Basingstoke training day on the 16th of May - topic to be confirmed. It would also be great to see lots of you at BCS 5-7th June! All of the training days are being kindly supported by Boston Scientific, which means they are free to attend and that lunch / refreshments will be provided. I will share the Bournemouth (AF/AT) and Southampton (VT / SCD) training dates when they are confirmed. Please feel free to forward this to any colleagues who may be interested. Apologies to those of you who may have received this twice as I have sent it out on both the 'EP interested e-mail list' and also on this blog, to ensure everyone is aware of these training days.